Case closed, credits rolling – I’ve done it. Bigby Wolf has saved the day, the Fables are safe and civil war has been avoided. But none of this is of any comfort. 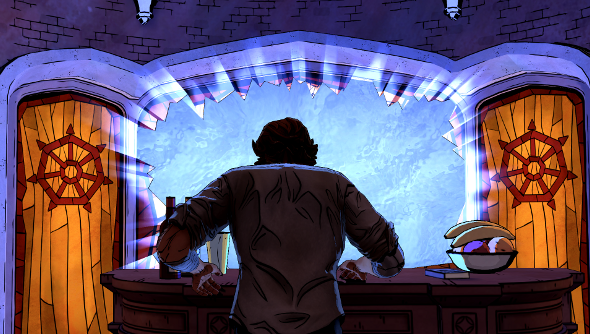 The Wolf Among Us: Cry Wolf, the fifth and final episode of Telltale’s Fables prequel, was never going to give us a fairy tale ending. It’s a strange kind of closure, leaving doubts and a few nagging questions. The finale doesn’t wrap things up with a ribbon; instead it’s an episode dedicated to reflection and, after an entire series of questionable actions, consequences. It also stands as one of the best episodes Telltale has ever crafted. During The Wolf Among Us: Episode 4, it started to seem like Bigby was a puppet – manipulated by the Crooked Man and, in more benign ways, by Snow White. I lit a cigarette in an act of defiance in the last seconds of the episode, a small gesture made to reassert my – Bigby’s – control. As episode 5 began, I was determined to stick to that path. The entire series has been concerned with the tug of war that is control. The law and the underworld, Bigby and Snow, Snow and Bluebeard, the Fables in the tower and the vulnerable Fables below. There are those who want to be left alone, to have the right to self-determination, and then there are those who either think they know better or simply want to stamp out that freedom. Throughout the previous four episodes, many Fables have asked, in various permutations, this question. We’ve been given ample opportunity to think about it, and the finale forces us to decide. The choices made here are meatier and given more weight than they have been before, in part thanks to all the baggage that’s developed over the last year. And as always, none of them are clear cut. Binary choices like kill or don’t kill cease to be black or white, so laden are they with actions from the past and the knowledge that whatever happens, there won’t be another episode coming down the road to let us fix any poor decisions. But since The Wolf Among Us has been a singularly violent game, the self-reflection doesn’t come until after Bigby’s been on the war path. With Cry Wolf, Telltale has really upped its game with the impressively choreographed, cinematic brawls; though it’s been escalating throughout the series. Of the two major scraps, it’s the latter – with Bigby finally facing Bloody Mary – that resonates the most. Telltale injects a dose of horror into the confrontation before the fight transforms into an epic supernatural clash between two monsters who have shed their public faces. And for all the frenetic action and furious button presses as QTEs flash up on the screen, it’s a conflict not without nuance. Now we know what all the Fables are afraid of. When the warpath ends, judgement begins. 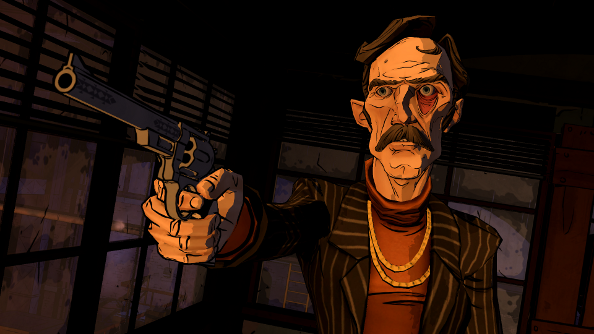 The final act of Cry Wolf takes into account many of Bigby’s actions throughout The Wolf Among Us. If, at moments, it felt like the consequences weren’t clear, then it’s because it was building to this moment. The way it played out for me – which could be quite different from your own experience – left me feeling extremely uncomfortable. I regret almost every choice I made, but doubt that I would make them differently given the opportunity to rectify them. But still, being outright judged by the people I was determined to help, that stung. Especially when the barbs flung at me were deserved. But, as Bigby himself says, it’s done now. You live with the choices you make. 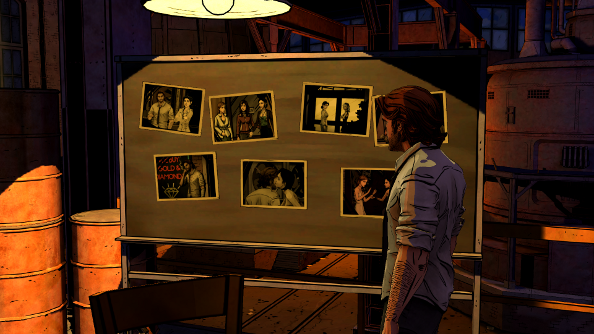 It is a shame that most of the interesting cast of The Wolf Among Us only get brief moments in the spotlight, some even just being seen and not even heard. It’s a problem created by the episode’s short length. 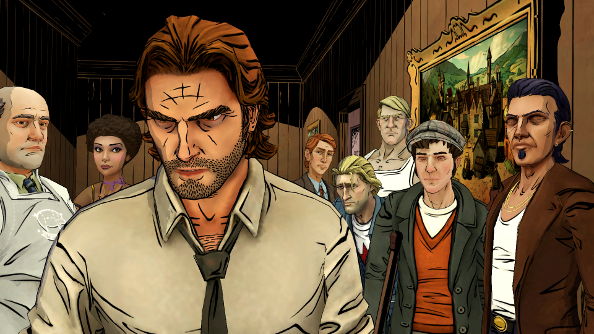 But every accusation they make, each one that backs Bigby up and those that condemn him – they all serve a purpose. They are used effectively, even if only for a moment. 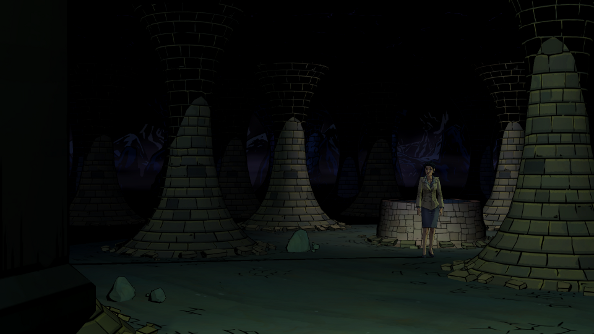 I thought The Wolf Among Us was going to be a supernatural detective yarn; it’s not. It’s a great deal more than that, and putting down bad guys and solving two murders is almost ancillary. Philosophical and moral quandaries spring out of Bigby’s investigation and the exploration of the Fables’ way of life. It’s not just a great, surprisingly insightful game. It’s also true to the literary genre that inspired it and Bill Willingham’s Fables comics. The moments of reflection that Cry Wolf offers aren’t just in regards to Bigby. The very real issues of invisible, disenfranchised people and the inability or simple lack of interest that administrations have in protecting them is central to the game. That’s why I’m left feeling uncomfortable, but desperately wishing for a second season.